Examine urban education from a perspective that is under-represented in national debates, namely incarcerated students. Throughout the United States, especially in the poor neighborhoods of large cities, too many public schools are failing to reach, teach, and engage thousands of struggling youths. Poor educational backgrounds, reluctance to be in the school environment, and socioeconomic pressures lead to failure in the school environment. As a result of these failures, thousands of school-age youths are sent down the path to the school-to-prison pipeline. In the book, the Philadelphia prison system provides the backdrop. This is just a hint of what sets Unlocking Potential: Organizing a School Inside a Prison apart from other books in the genre. It is about Pelzer’s invaluable perspective on urban education as much, if not more than, about underscoring how education can and should play a prominent role in all institutions that are responsible for children. 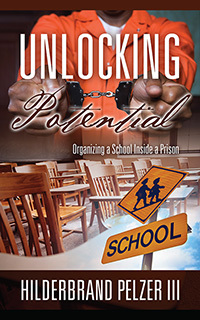 Heralded by the Midwest Book Review as “strongly recommended for those in charge of education of imprisoned youth” and “a guide” for those facing educational challenges, Unlocking Potential: Organizing a School Inside a Prison is a springboard for a deeper conversation about K-12 education. It creates an authentic connection that helps educators of all levels overcome daunting issues in urban education and affect positive change. Each chapter shares inspiring stories and insights that will help educators vigorously tackle the work required to improve schools. 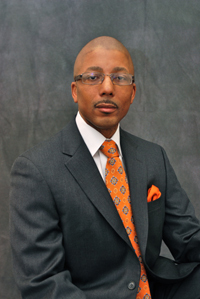 Hilderbrand Pelzer III is an Award-Winning Educator. For decades, he has successfully managed diverse urban schools with difficult environments – including a high school inside a prison. He has earned a national reputation for expanding opportunities within challenging educational environments to make way for a better future.